Every once in a while, I hear about some sort of natural healing or holistic technique that catches all kinds of attention. Some recent examples may be ear candling to remove wax, the all-liquid cleanse, or the “Ab Flex.” I’m a firm believer in scientific proof, but I also believe that if something makes a person feel good, they believe it’s working, and it’s not causing them harm, then who am I to stop them? One new health trend that’s gaining steam these days is “oil swishing” or “oil pulling.” It’s an ancient practice that goes back more than 2,500 years, based on the ancient Indian healing system of Ayurveda. I am a great proponent of Ayurveda, a natural, holistic healing system that involves diet, yoga, meditation, hygiene, and treatments through plant-based medicines. Its goal is to improve the overall function of the five senses. But what is oil pulling? Oil pulling involves swishing oils in the mouth that act as anti-inflammatory and antimicrobial agents to improve oral hygiene. People swish various oils in their mouths—olive oil, coconut oil, sunflower oil, or some other oil—for five to 20 minutes per day. They believe it improves their oral hygiene, makes their teeth whiter, improves asthma and arthritis, sweetens breath, treats gum disease and eczema, and fights tooth decay—seems like it’s a wonder treatment! However, there is little, if any, scientific data to support these claims. Along with others, coconut oil, for example, does have antibacterial properties, so in theory, it might help clean your mouth. It may not be so likely, however, that oil pulling is more effective than toothpaste, flossing, or more common modern-day oral hygiene practices. That being said, it likely won’t cause any harm and could be a good addition to your regular routine. Using oil pulling as an alternative to mouthwash, for example, might be worthwhile. After all, if the claims are true, you could be saving some money on your dentist bills, though I would still advise annual visits to the dentist (poor dental health can cause many more health problems than you might imagine, including cancer). Visits to the dentist are often overlooked because they can be expensive and time-consuming. Also, like most visits to the doctor, people tend to wait until there is a noticeable problem before scheduling an appointment—a pain in the mouth, a rotting tooth, or chronically bad breath. But the reality is that the best form of healthcare is prevention. By visiting your dentist at least once per year, you can get a thorough mouth cleaning and a professional inspection to notice any problems that need to be addressed before they become a bigger—costlier—problem. Between visits, stick to a strict dental hygiene routine, including thorough brushing and flossing twice a day; if you’re feeling adventurous, why not try adding some oil pulling to the mix. 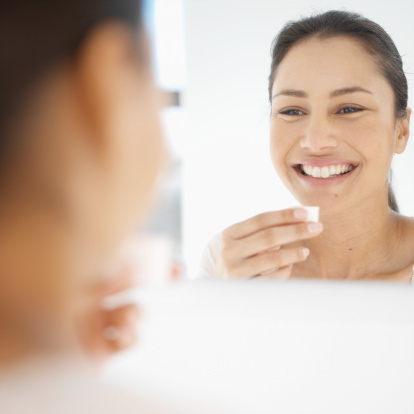 Fleming, O., “Does oil pulling actually work? FEMAIL gets to the bottom of ancient Ayurvedic practice that claims to whiten teeth and cure acne,” Daily Mail web site, March 11, 2014; http://www.dailymail.co.uk/femail/article-2577751/Does-oil-pulling-actually-work-FEMAIL-gets-bottom-ancient-Ayurvedic-practice-claims-whiten-teeth-cure-acne.html. “Oil swishing craze: snake oil or all-purpose remedy?” Healthfinder.gov web site, April 18, 2014; http://www.healthfinder.gov/News/Article/686862/oil-swishing-craze-snake-oil-or-all-purpose-remedy. “Oral Cancer,” National Institutes of Health web site; http://www.nlm.nih.gov/medlineplus/ency/article/001035.htm, last accessed May 7, 2014. Sigh, A., “Tooth brushing, oil pulling and tissue regeneration: A review of holistic approaches to oral health,” Journal of Ayurveda and Integrative Medicine, April 2011; http://www.ncbi.nlm.nih.gov/pmc/articles/PMC3131773/, last accessed May 7, 2014.